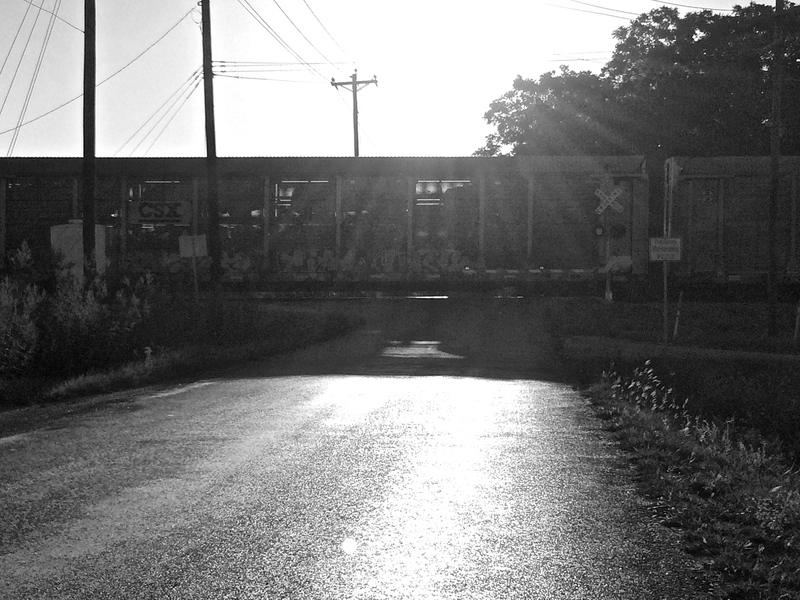 This entry was posted in Uncategorized and tagged 365 photos, B & W photography, train on October 3, 2015 by treerabold. What a great capture of the sun’s rays on the moving train. Hope you didn’t have to wait too long! The break was welcome. I was out riding my bike! I really like this photo – not sure why – I think it’s the wet road for some reason. Or maybe it’s not really wet but it looks wet? It wasn’t wet (this is Texas…no rain since May!) I guess the lighting made it look wet.